We all know how much Indian fans love Hindi Bollywood comedy movies, they absolutely love comic movies. That’s the reason why comedy movies in India are such a huge hit at Box Office. Bollywood has produced hundreds of Comedy movies over the year and we can’t thank enough the Indian film industry. The comic timing of the actors plus the storyline and the dialogues are the ingredients of a perfect comedy movie. Today, we are going to share a list of top 10 greatest Hindi Bollywood comedy movies that have the perfect blend of comedy and storyline. Some of these comedy movies are so good that we bet you won’t stop laughing. Let’s check out these Bollywood Comedy movies below. A movie that set a benchmark for all the comedy movies, Hera Pheri is undoubtedly the greatest Bollywood comedy movie of all time. The trio of Akshay Kumar, Paresh Rawal and Sunil Shetty takes us on the laughter ride that anyone has never experienced in their lives. This movie is a cult classic and has been voted as the best Bollywood comedy film of all time in an online poll conducted by The Indian Express. 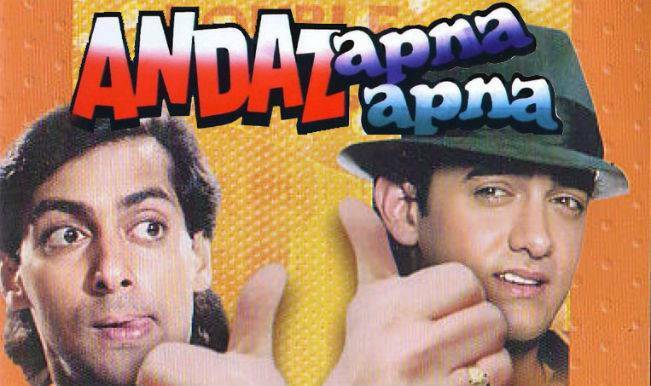 Giving a close competition to the Hera Pheri, Andaz Apna Apna is the favourite comedy movie of many Indian fans. Although the movie didn’t fare well at the Box Office yet it made its way to the top of Bollywood comedy movies. The movie stars some of the biggest names in the Indian film industry. Everything related to this comedy movie, comic timing, dialogues, one liners are so perfect that you can’t ask for anything more. Coming 3rd on this list of Hindi comedy movies is none other than the life saga of engineering students, 3 Idiots. The movie introduced some of the iconic characters in Indian cinema. The lead actors, Aamir Khan, Kareena Kapoor, R. Madhavan, Sharman Joshi and Omi Vaidya gave one of the best performances of their lives. 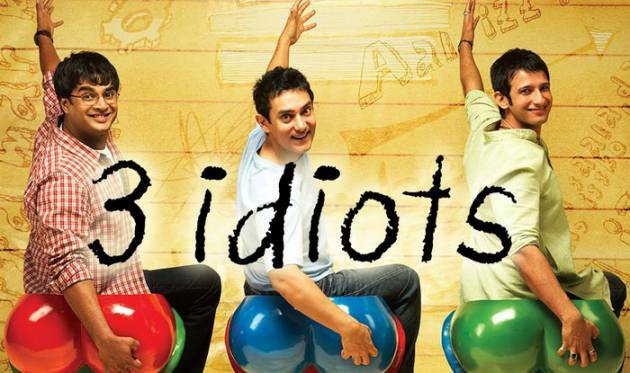 3 Idiots is one of the comedy-drama movies that gives us laughter and life lessons at the same time. The movie that gave a new identity to Sanjay Dutt and Arshad Warsi, Munna Bhai M.B.B.S will surely tickle your funny bone. Munna Bhai M.B.B.S is a different kind of comedy movie among other Bollywood comedy movies. The movie got huge appreciation and lot of love from the Indian fans as it registered itself as one of the greatest movies in Indian cinema. We have just reached the half way and here it is the second instalment of the No. 1 movie of this list, Phir Hera Pheri. 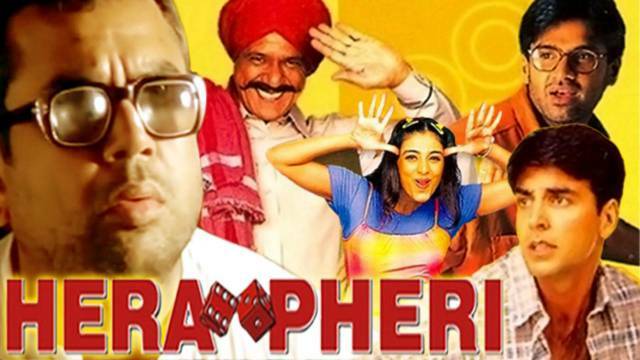 After 6 years of the initial movie, the team of Hera Pheri came with the sequel to the movie and left no stone unturned to make Indian audience laugh. With same comic timing and some fresh faces, the movie proved to be hit among the masses in India. Coolie No. 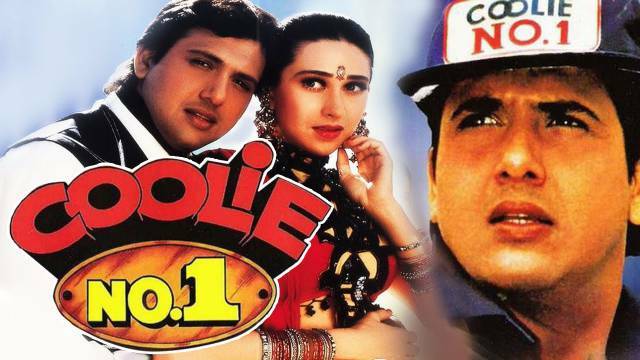 1 is a cult comedy movie starring the comedy king of Bollywood, Govinda. The duo of director David Dhawan and actor Govinda has given Indian film industry some of the finest comedy movies of all time, and this movie is one of them. The movie also starred some veteran comedy actors like Kadar Khan who also made this movie a ride to the laughter world. It’s the 3rd movie on the list starring Akshay Kumar who established himself as one of the actors with the best comic timing. Garam Masala starred some of the famous comic actors of India namely Akshay Kumar, Paresh Rawal and Rajpal Yadav. The movie has a decent storyline but the comic timing and the screenplay of the movie make it one of the best Bollywood comedy movies of all times. The first movie in the Golmaal franchise directed by Rohit Shetty makes the audience go ROFL on the amazing comic scenes of the movie. One woman, Four men and their desire for her produced some of the iconic comedy scenes in the history of Indian cinema. The movie does full justice to its name and is undoubtedly a movie with unlimited fun. Yet another movie from the famous director Priyadarshan, Hungama is one of the comedy classics of Bollywood. The movie takes you to a world of comedy, confusion and madness as it makes its way to the become one of the greatest Bollywood comedy movies of all time. Paresh Rawal and Rajpal Yadav absolutely nailed it with their performances in the movie. The last movie on the list of top 10 greatest Hindi Bollywood comedy movies is yet another classic comedy from the duo of Govinda and Kadar Khan. The movie lands some solid comic punches and we bet no one can match the comic timing of the lead actors. Related: Top 10 Highest Grossing Bollywood Movies Of All Time. Also, let us know if you think any other Hindi Bollywood comedy movies should be on this list. If you liked this list, make sure to share this post with your friends and loved ones.